Working together to build powerful geospatial technology and develop the skills of young geodevelopers were two main messages brought to the stage at the 2015 Esri Developer Summit. Global music artist and tech entrepreneur will.i.am and Esri president Jack Dangermond encouraged the audience to "share your talent" and mentor the next generation of developers. Read the article. will.i.am and Esri president Jack Dangermond underscored the importance of helping young people develop tech skills. Learn to make custom web mapping applications in a what-you-see-is-what-you-get (WYSIWYG) wizard environment using Web AppBuilder for ArcGIS. All you need is ArcGIS Online or Portal for ArcGIS. Read the tip. The Land Information Portal, created for St. Louis County, Minnesota, provides staff with instant access to land records and maps. No more digging through file cabinets. Read the article. 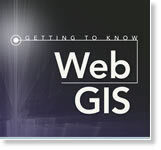 The workbook Getting to Know Web GIS from Esri will teach you how to use the ArcGIS platform to build web mapping apps quickly. Read the article. Pinde Fu parlayed an early interest in web GIS into a career developing web mapping apps for Esri. Now he has written a book to help you build web apps, too. Read the article. With almost 1,000 sessions to choose from, there's something for everyone at the 2015 Esri User Conference. Select your sessions now. If you want to know where 3D mapping is going and how UAVs play a role, register to attend the Esri 3D Mapping Forum in California this July. Read the article. Sign up for the Esri 3D Mapping Forum. Esri's Suzanne Boden walks you through a simple workflow using ArcGIS Pro, from preparing the data to sharing your work. Read the blog. 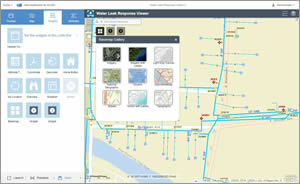 Esri Maps for Office just got easier. The new multilayout view in version 3.0 lets you arrange maps anywhere on your desktop. Download the app. Get demographic and market insights on the go with the Esri Business Analyst Online mobile app loaded onto your smartphone. You can evaluate sites, trade areas, or neighborhoods in more than 135 countries. Read the article. The Vermont Agency of Transportation used the Collector for ArcGIS app on a smartphone to identify and inspect railroad crossings. Read the article. More cartographers, GIS professionals, and others, are using hexagons to visualize data on their maps. Get tips on how to use hexagons. ArcGIS Online now includes step-by-step instructions for analyzing categorical data from MODIS, displaying Ocean currents as vectors and more. Read the blog. Share your GIS story using the Road to UC! Story Map, a crowdsourced map that shows where you are coming from and where you are going with geospatial technology. Read the article. Put your story on the map. Attention, creative mappers! Come one, come all—enter Esri's new Storytelling with Maps Contest. The deadline to submit entries is June 8, 2015. Read the article and submit your entry. Data Appliance for ArcGIS provides terabytes of worldwide basemaps and reference layers behind your firewall. Order today. Learn how the City of Boston, Massachusetts, dealt with this year's record-breaking snowfall. Check out Snow Journal, a Story Map Journal that includes a video of a snow farm (no animals included). View the Snow Journal. Honolulu, Hawaii; Yonkers, New York; and Minneapolis, Minnesota, were all on Livability's Top 10 Healthiest Cities list. Learn about how each city ranked and Esri data's role in the city selections. Read the article at Livability.com.